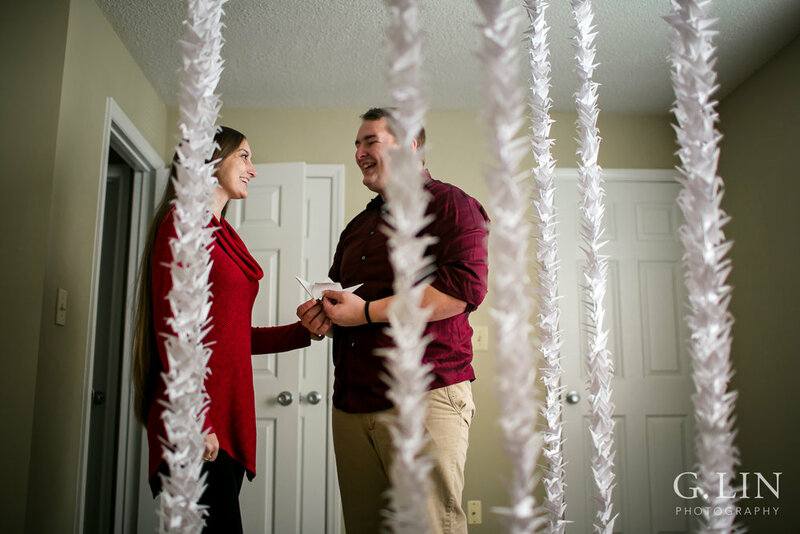 Photographing surprise proposals are one of the sweetest things to capture! I'm always blown away by the creativity and the careful planning, and how each proposal tells a STORY of who the couple is. As a photographer, it's truly an honor to capture these special moments because you get to be part of documenting the couple's unique love story! Earlier this month, Parley contacted me regarding his upcoming proposal. 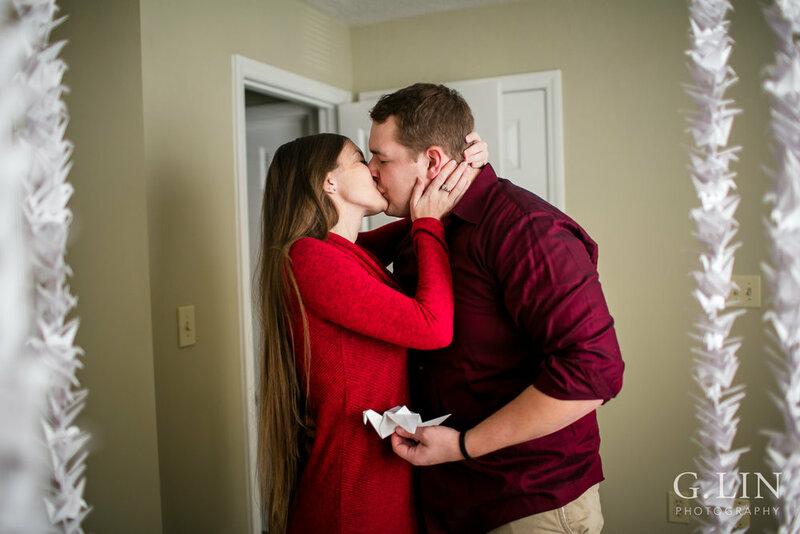 We had a wonderful conversation getting to know each other, and I learned he was MOVING to his apartment the same week he was planning to propose! His girlfriend (and now fiance) also got sick on the date he was thinking of proposing, and so we moved the date a few days later. 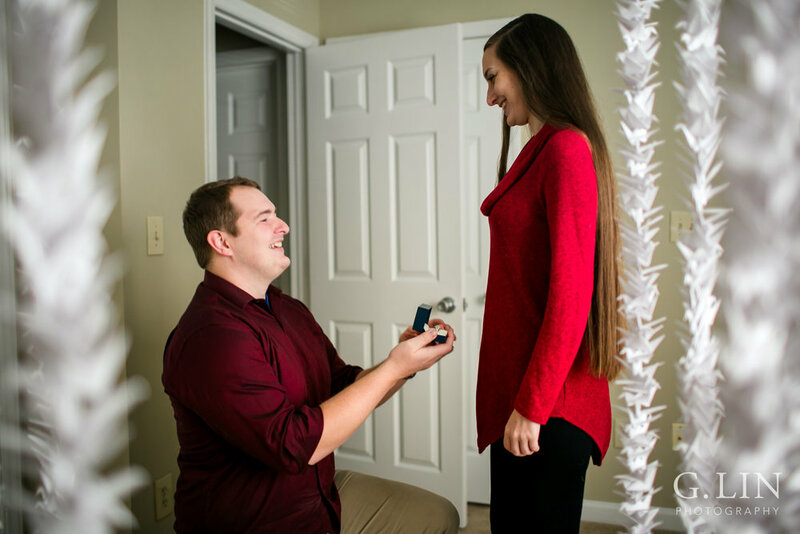 Parley was incredible through it all, and when the day came, he gave a sweet, touching, and memorable proposal! As you can see in the photos below, she was more than thrilled to fold the last crane and fulfill his "wish!" He then promptly got down on one knee to ask the big question, "will you be my wife?" And of course, she said "YES!" Afterwards we went outside to take some more gorgeous portraits of Parley and Darian! Congrats you two! 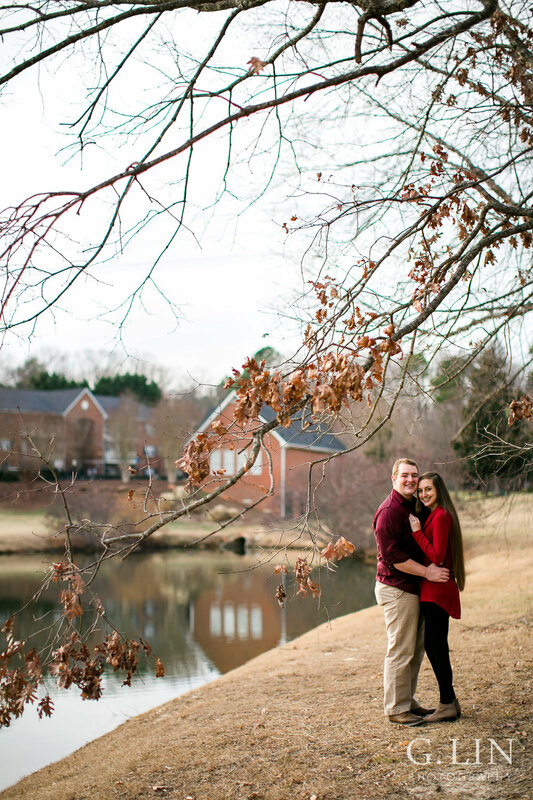 Are you in need of an experienced Raleigh Engagement Photographer? I'd love to work with you and capture your special moment! You can get in touch with me by sending me an inquiry here, or by emailing me at genevieve@glinphotography.com or calling me at 919-907-1280. I can't wait to hear from you!